The hook & loop tab closure lets you fit this slipper snugly on your feet, even if you have bunions,corns or hammertoes. 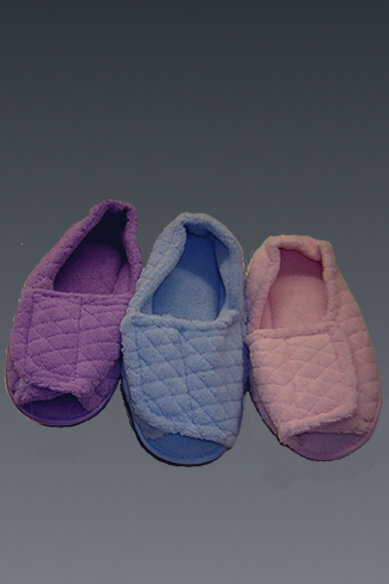 Padded cotton terry foot bed with a slip-resistant outer sole. Machine washable. Wide width. Assorted pastel colors.